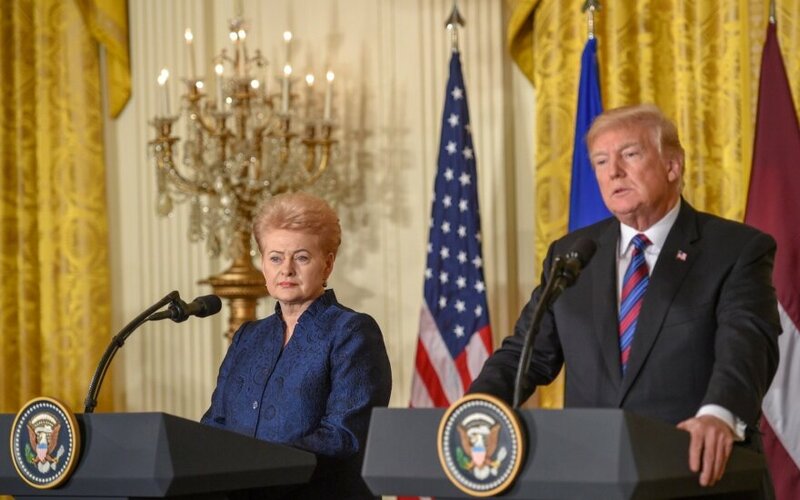 United States President Donald Trump on Tuesday thanked the Baltic states for raising their defense budgets, urging other NATO countries to follow the example of Lithuania, Latvia and Estonia in defense spending. "Your commitment to burden-sharing is an example, really that other NATO nations and partners all around the world will have to all get together and bear," Trump said at a joint news conference of the Baltic and US presidents in Washington. All three Baltic nations earmark 2 percent of their gross domestic products (GDP) to defense, as prescribed in NATO documents. Many other European countries fall behind the Baltic nations in terms of this indicator. In a four-country declaration published after the presidential meeting, the United States pledged to continue the periodic deployment troops in the Baltic states to deter Russia. Asked again during the news conference about the troops US intended to send to the Baltic states, Trump did not give a specific answer and only said all countries were working together on security matters. Trump thanked the Baltic countries for their involvement in counter-terrorism efforts, saying that businesses of the three countries could find points of cooperation in fields of research, technologies and medicine. After congratulating Lithuania, Latvia and Estonia on centennial anniversaries of independence, the US president said that the US would remain "a strong, proud and loyal friend and ally" within the coming century. 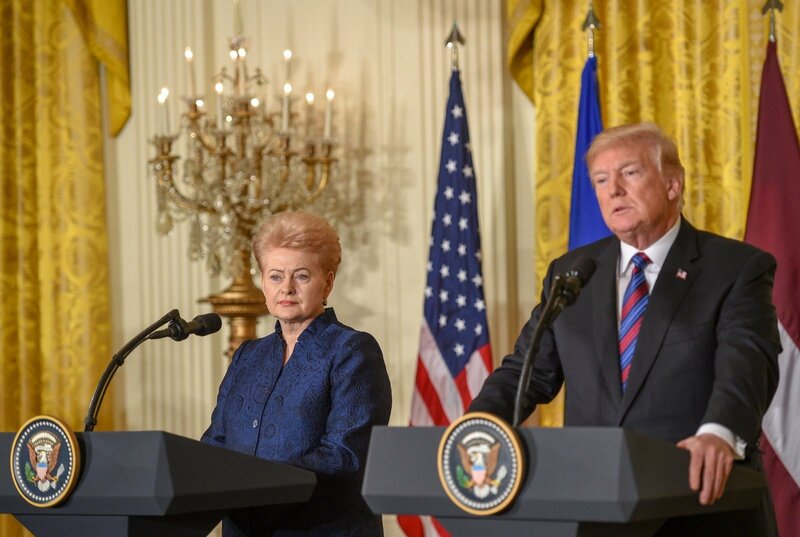 Lithuania's President Dalia Grybauskaitė, in her turn, applauded Trump's leadership in reforming NATO and pressing Allies to boost defense spending. "We talked with the president, I was joking a little bit about that we need leadership sometimes for decision-making, even unpredictable leadership (...). And we see this kind of leadership in President Trump," said the Lithuanian president. "Without the leverage and pressure, there would be no additional defense spendings in NATO, there will be no additional decisions for rotating military forces of the United States in our countries, there will be no willingness to look into the matters of air defense, which we need very much," she added. Trump had caused concerns in the Baltic states after criticizing NATO and speaking warmly of Russian President Vladimir Putin, however, his decision to supply arms to Ukraine and expulsion of Russian diplomats cleared some of the concerns. Speaking to journalists along with Baltic leaders, the US president said that good relations with Russia would be a good thing, however, added that time would show whether this would become reality.